Cellaring: At its release, this wine is showing tremendous potential and yet we expect it to be very drinkable in the next 6 – 9 months, preferably with decanting. The ageability of this wine is forecast at 5 to 7 years. 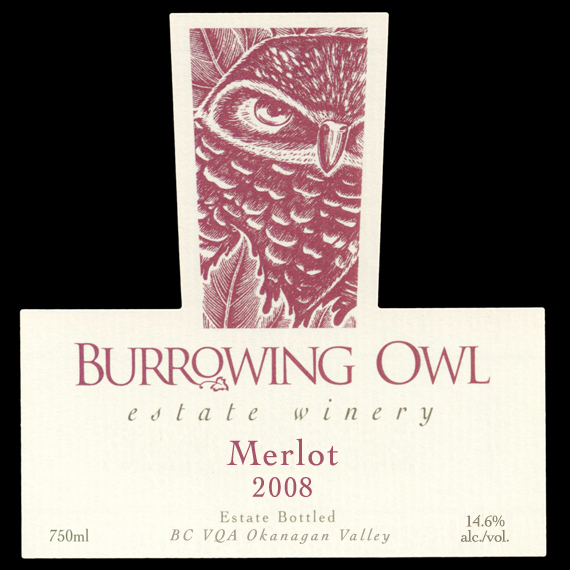 The 2008 Merlot has a dark plum core with a vibrant ruby red rim, and features dark cherry, gooseberry, cassis and red berry fruits. It also shows a nice minerality featuring slate and stone essences along with hints of nutmeg, spice and mushrooms. Silky tannins, balanced acidity and an elegant finish will all add to the wine’s ageability. 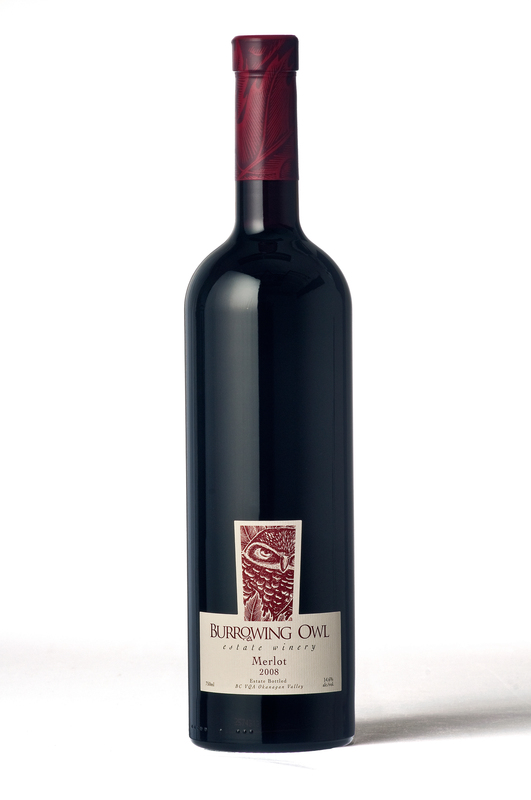 The red berry fruit with hints of tobacco and dark chocolate persist on the palate. The 2008 Merlot was harvested in mid October from Burrowing Owl Estate Vineyards in Oliver. The grapes were destemmed, lightly crushed and gravity dropped into stainless steel tanks, then warmed before being inoculated with our preferred yeast strains. After the wine was fermented on its skins, the free run wine was separated from the skins which were transferred to the press for a 2nd light press. The wine was aged in a combination of French, American, Hungarian and Russian oak barrels for 16 months, and was fined lightly with egg whites to help round out the tannins prior to bottling.